First-ever high-resolution images of a molecule as it breaks and reforms chemical bonds « Adafruit Industries – Makers, hackers, artists, designers and engineers! First-ever high-resolution images of a molecule as it breaks and reforms chemical bonds. 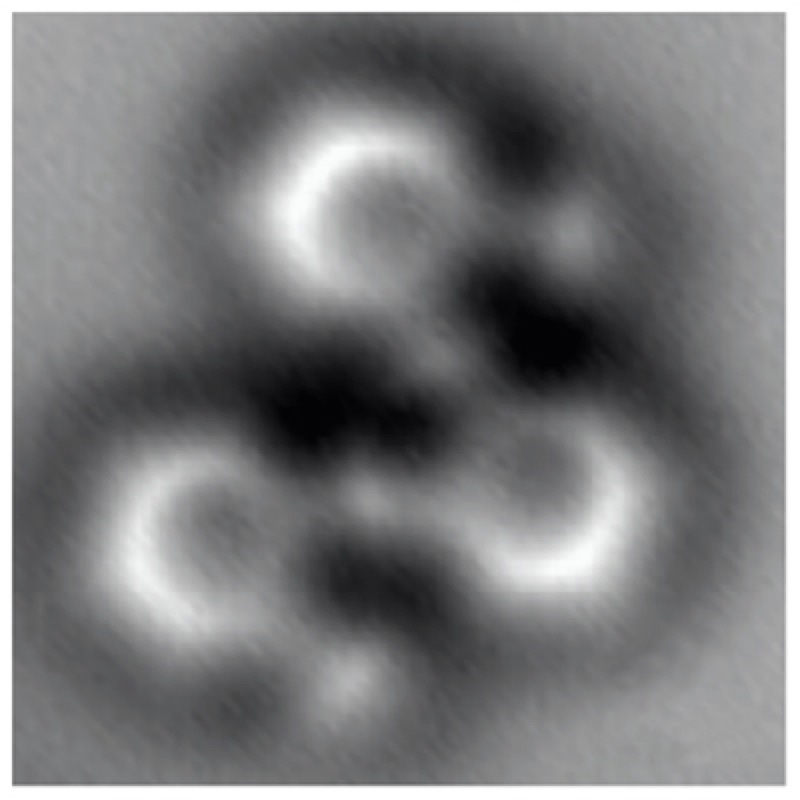 Almost as clearly as a textbook diagram, this image made by a noncontact atomic force microscope reveals the positions of individual atoms and bonds, in a molecule having 26 carbon atoms and 14 hydrogen atoms structured as three connected benzene rings.